Comfort Seating UK moved into our new London showroom in The Gallery, Clerkenwell in May. Our space in The Gallery showcases our range of ergonomic seating solutions in a workplace environment alongside other office furniture businesses that are in The Gallery. We have already had a busy few months in our new showroom from Clerkenwell Design Week on the 22nd-24th May. We saw 100’s of visitors come through as well as enjoying several events held within the Gallery. 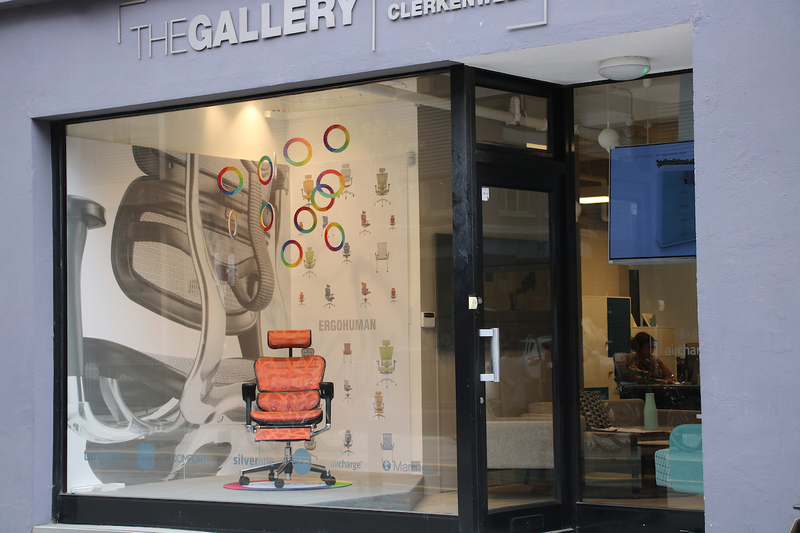 We have also been busy working on the showroom window display, showcasing our Ergohuman chair in front of our graphic wall that displays our range of ergonomic seating. If you would like to visit our showroom please contact sales@officechairs.co.uk to arrange a visit, The Gallery is located at 21-22 Great Sutton Street. You can view The Gallery’s website here.